We carry a large variety of Fishing, Recreation and Whitewater Kayaks. So, if you like to paddle, peddle, or if surfing that wave is what get's you up out of bed, we've got you covered. Come by and check out some of these amazing brands, listed below. The Ouachita National Forest offers some INSANE hiking, backpacking, and camping opportunities. 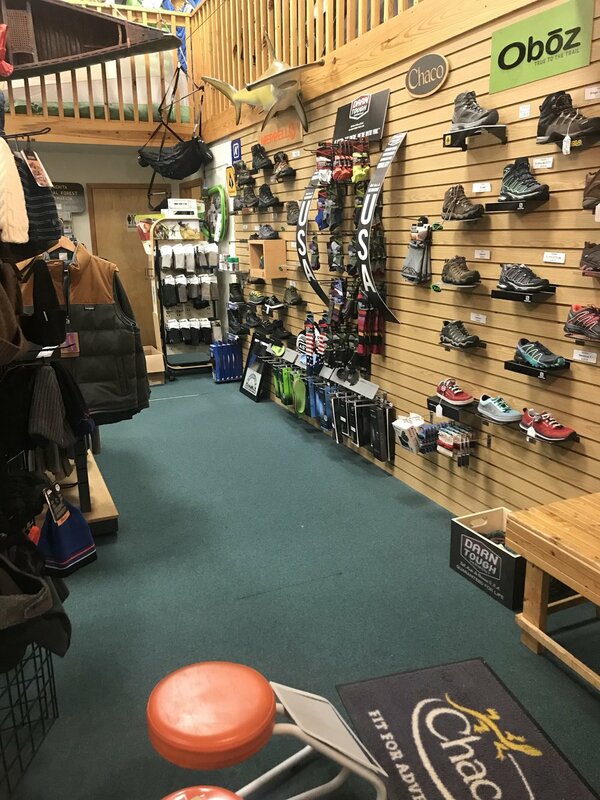 We have what you need and the knowledgeable staff to help you get outside! we offer a complete backpack fitting service, and will recommend some of the best hikes and places to camp! Don't waste time this season planning your trip, come by and ask us! No matter the season, there is ALWAYS something biting. Come by and grab a couple flies, ask what they are biting on, and try out any of our fly rods. We have rolling 101 Classes as well for the beginner, or someone who want's to learn more about the area. Our apparel caters to the more serious minded outdoor enthusiasts. We have a wide range of Jackets, Fleeces, Sun shirts, T-Shirts, shorts, Capilene, etc. If we don't have it in stock, it is usually soon on it's way! Come check out the latest and greatest from the likes of Patagonia, Kuhl. The North Face, Marmot, and Prana! Our Rock Climbing section is the only one in the area! We have a great selection of Petzl, Black Diamond, and BlueWater Rope! Plus the shoes and some tough pants to make sure your comfortable and ready for any boulders or crags you find. Don't Get Outdoors Without Us!